South Africa lies at the southernmost part of the African continent. It is bordered to the north by Botswana and Zimbabwe, to the northeast by Mozambique and Swaziland and to the northwest by Namibia. On the east coastline lies the Indian Ocean, the Southern coastline the confluence of the Indian and Atlantic Oceans, and Atlantic Ocean on the western side. South Africa completely surrounds Lesotho. The coastal belt in the west and south varies from 3 to 30 miles in width, is between 152m (500ft) to 182m (600ft) above sea level, and is very fertile, producing citrus fruits and grapes, particularly in the Western Cape. North of the coastal belt stretch, the Little and the Great Karoo, which are bounded by mountains, lie higher than the coastal belt, and are semi-arid to arid, merging into sandy wastes that ultimately join the Kalahari Desert. You will find two unique seasons in South Africa. From May to September is winter as well as the rainy . From October to Aprilwill be the summer time, and it's drier and warmer than in the winter. Both seasons could be nice for vacation, but be ready for wet conditions if you arrive for the duration of winter months and make arrangements as required. For any one travelling into South Africa, he/she needs two consecutive bank pages in the passport, which lie side by side when you open your passport (Left and right page). Passports must be valid for 46 months from the date of exit from South Africa. Visitors having passports without these requirements will either be stopped from boarding their air craft during the departure or risk deportation on arrival in South Africa. 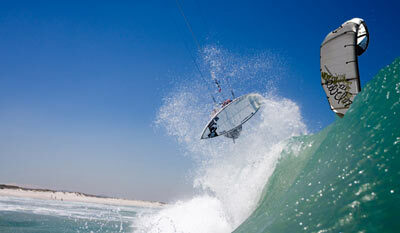 South Africa Kitesurfing: whilst strong winds are an irritation to some, kite surfers spend their days in anticipation of strong, consistent wind conditions. Kite surfing is a relatively new sport in South Africa, but technologies brought in from overseas have helped South Africa quickly rise to a leading destination for kite surfing enthusiasts. Cape Town is becoming one of the most popular kitesurfing destinations in the world, with thousands of enthusiasts from countries such as Germany, Italy and the Netherlands flocking to the Mother City every summer. South Africa Kite Surfing: Whilst strong winds are an irritation to some, kite surfers spend their days in anticipation of strong, consistent wind conditions. Kite surfing is a relatively new sport in South Africa, but technologies brought in from overseas have helped South Africa quickly rise to a leading destination for kite surfing enthusiasts.